Typical vacation locales too dull? Try a floating island! Private islands are relatively common, and floating islands aren’t a new idea, but the super-rich are always pushing the envelope. 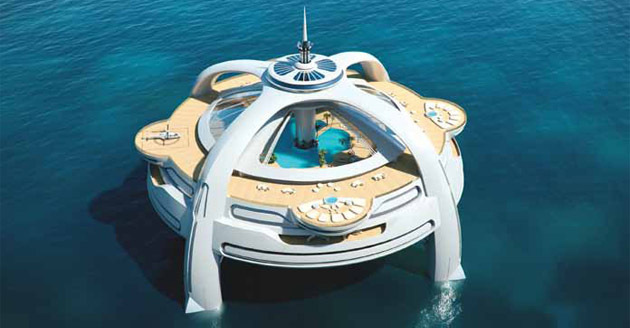 From sea-based independent city-states to marine playgrounds for the super rich, more inventors and innovators are turning to the ocean for inspiration.